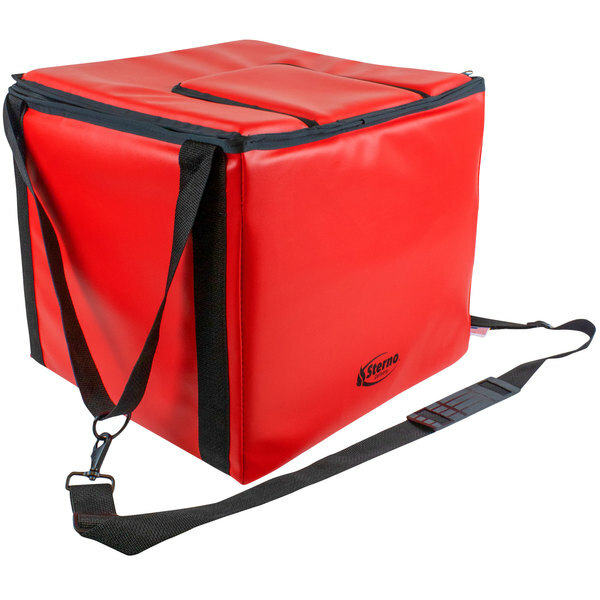 Easily and efficiently transport hot dogs throughout your stadium with this Sterno Products 72610 16" x 15" x 4" small stadium insulated food carrier. 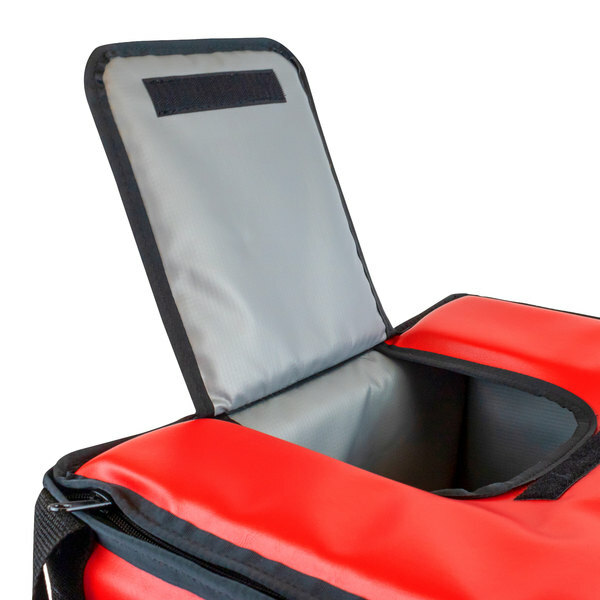 This insulated food carrier is designed to hold up to 20 hot dogs at a time. A hawking opening ensures quick retrieval without losing heat while an adjustable neck strap offers the optimum length for user comfort. 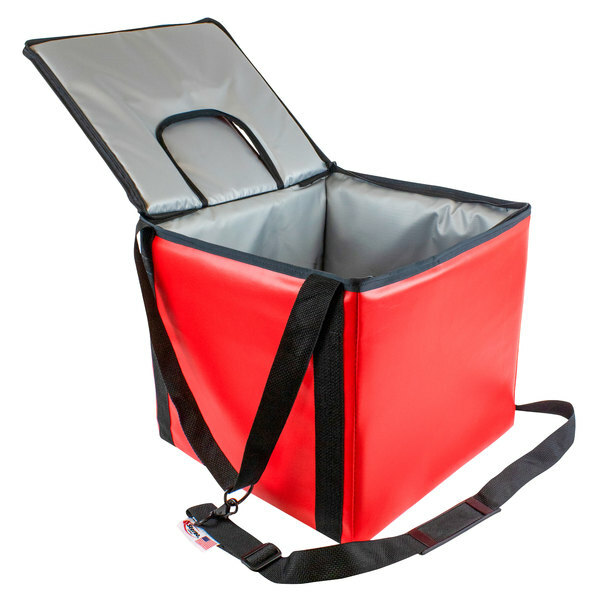 This carrier's antimicrobial liner features a seamless design to prevent liquids from seeping through while facilitating quick cleanup. You can rest assured that it won't harbor bacteria, mold, or odors. Plus it comes with a 5-year leak-proof warranty. The superior-grade, tear-resistant vinyl material is guaranteed to withstand the abuses of daily use. Beneath the liner, multilayered insulation keeps hot dogs hot for preserved product quality.